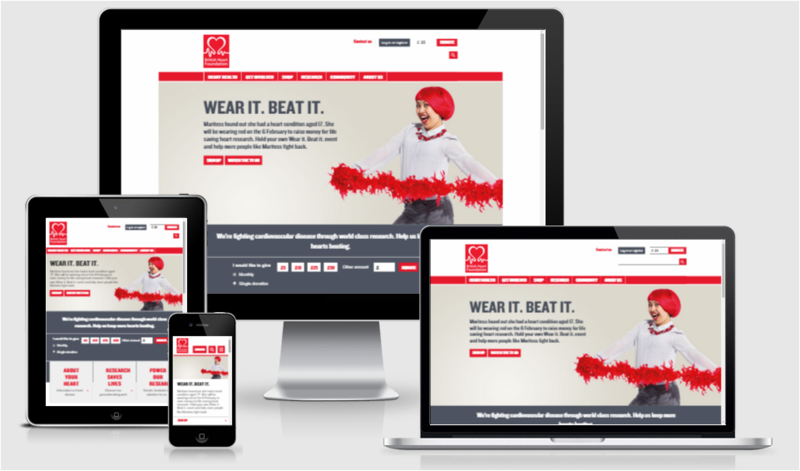 The British Heart Foundation approached us initially with a CMS migration project, with a reskin and a few pieces of UX. The design and UX parts quickly grew however, and we ended up making improvements to the whole site, with just the IA and shop being saved for a later date. Improvements were made most of the key user journeys including registration, donations, a complete overhaul of their events section, search, furniture and electric goods collection, and their maps and locations. Across the site we decided that the human element had to be shown off. Bringing real people and real stories to the forefront. The donations, registration and event registration processes were completely overhauled with ease of use at the centre. Dynamic forms were used to provide a natural step by step progression. Looking at the different people registering for events is was clear we needed a different approach. Some users always participate in the same event each year and want a quick, easy route to registration, whereas others just know they want to get involved somehow and are looking for inspiration. We wanted to offer improved browsability and searchability of events, much more user friendly imformation about events, including real stories of people preparing for events, fundraising, and taking part, as well as more flexibility in registration, to include forming teams, setting up with Just Giving etc. This project consisted of various workstreams with different client teams, all of which followed a similar process. We would start off with a requirements gathering workshop, followed by iterative sketching and wireframes of each section of the site. The sketches were done as working meetings with the client, after which wireframes were created to be tested by the client. Key KPI’s included a 277% increase in online donations, 74% increase in event registrations, 40% increase in furniture and electric donations and 22% lower form drop-off. 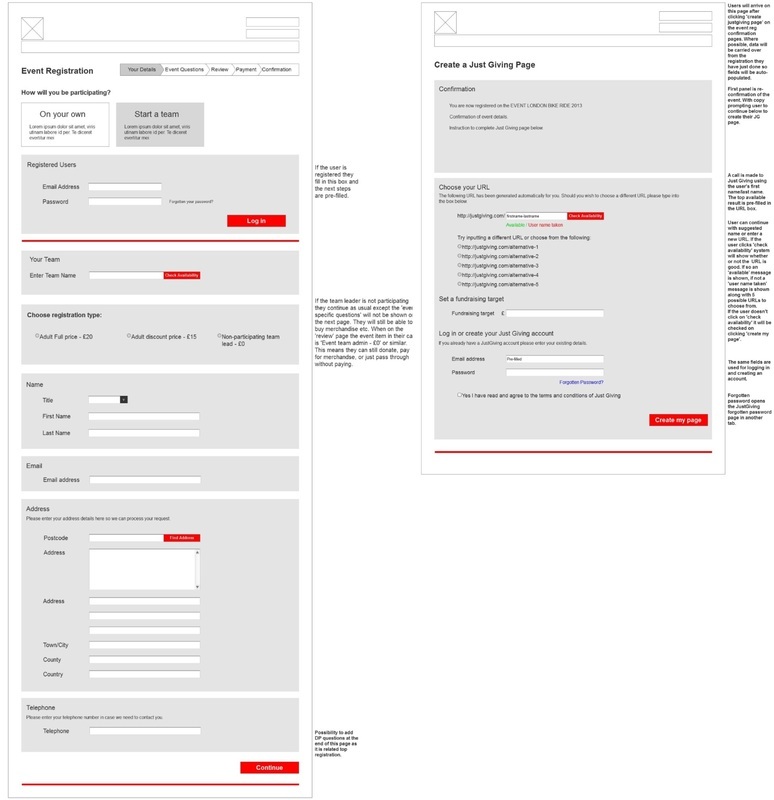 Large parts of UX were to do with optimising registration forms for members, events, F&E collections etc.